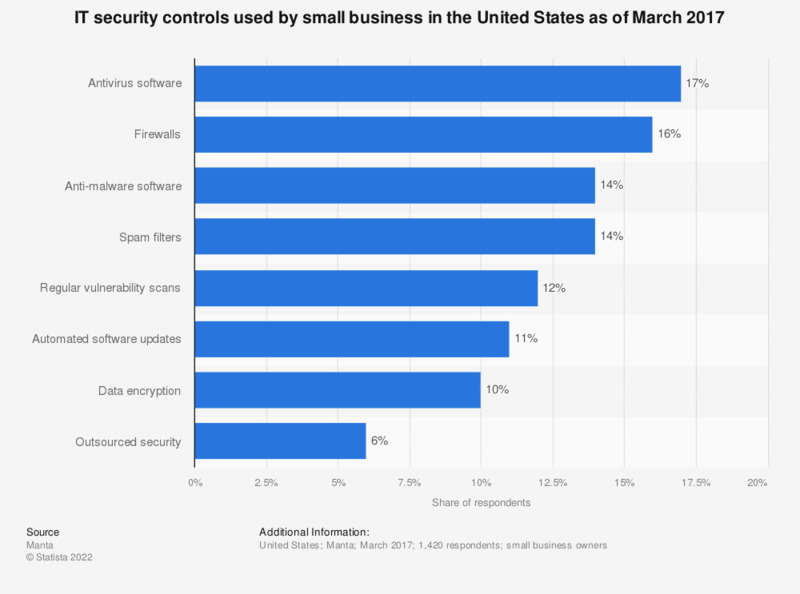 This statistic shows the IT security controls used by small business in the United States as of March 2017. During the survey period, 17 percent of small business owners stated that they used antivirus software. Question: "What IT security controls does your business use?"